Ho, Ho, Ho… It’s Christmas and what better way to celebrate this magical time of year. Hang some Hama on the Christmas Tree! It’s that time of the year when we all go a little crazy… The magic of Christmas is almost upon us, you can tell by the number of trees going up so early. 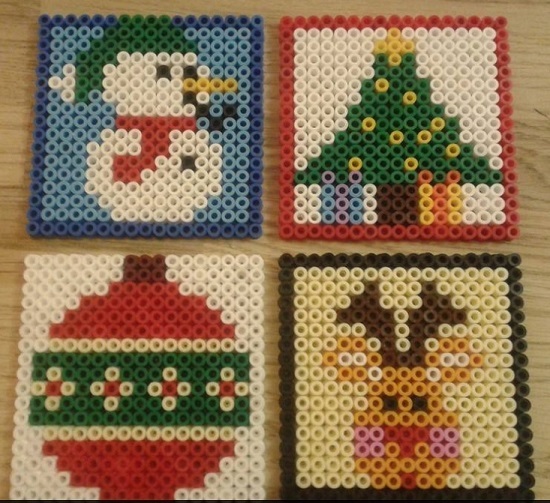 So here are a few ideas for our many Hama Bead fans to enjoy and hopefully make your Christmas Tree’s a little more special. We have made some small items, ‘Santa, Snowman, Boots and a present’. You can pretty much make anything you like, just make sure you leave some holes in positions for you to hang them. 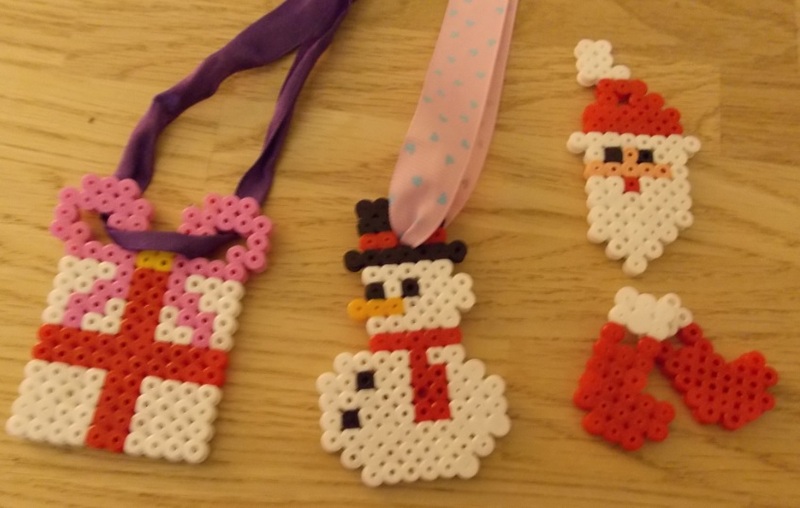 What you require to make a out Tree Decorations out of Hama Beads. Colours required – Be adverturous with you Hama Bead designs. But here is a list of the colours you will require to make these Christmas Tree Decorations and the part number of the individual coloured packs. 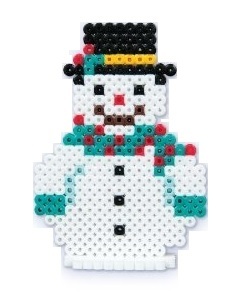 Christmas wouldn’t be Christmas without a Snowman… So how about a hama bead design that would make a perfect Christmas decoration for the house. You can simply copy the snowman if you don’t have time or the patience to complete the dark blue outline. What you require to make this Snowman design. Colours required – Here is a list of the colours you will require to make this Snoopy Pattern and the part number of the individual coloured (1,000) packs. It’s that time of year and we are looking at all sorts of Christmas Hama Bead designs and what else could we try but a beautiful Christmas tree. What you require to make a Hama Bead Christmas Tree. If you like this and your a little more ambitious then you’ll love our 3D Hama Bead Christmas Tree. The only thing you need this Christmas is a Hama Bead pattern of Santa Claus. The man in the big red suit. 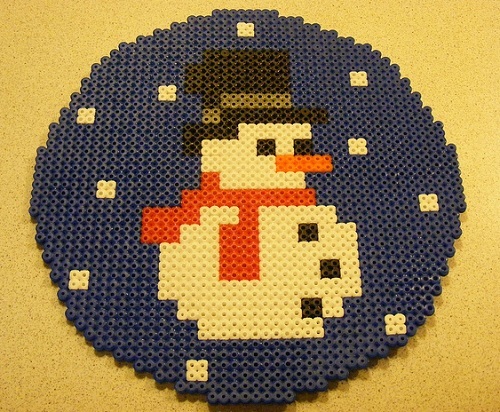 What you require to make a Hama Bead Santa.